An Indian-origin man has been appointed non-executive director of National Australia Bank (NAB), one of the largest financial institutions in Australia. Peeyush Gupta, who replaced Geoff Tomlinson. Peeyush has extensive experience in the wealth management sector. He was one of the founders of IPAC Securities that was later acquired by AXA, another financial adviser company, for $205 million in 2002. 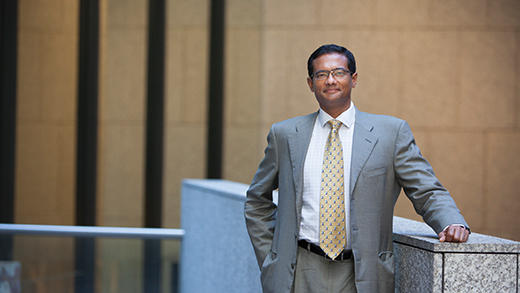 Gupta was chief executive officer of IPAC from 1996 to 2009. According to the IPAC website, it is a leading financial advice company that helps clients make the right choices to achieve their lifestyle and financial objectives. Gupta is currently a non-executive director of NAB subsidiary National Wealth Management Holdings. He has worked as a director on many boards and was educated at the Harvard Business School, London Business School and Australian Graduate School of Management at University of New South Wales, the report said. NAB chairman Michael Chaney said in a statement the bank was “delighted” Gupta has accepted the invitation to join the board and he would be a “valuable addition” to it.